It has become quite the rarity when a sequel contains staying-power that dominates its forerunner in every facet. 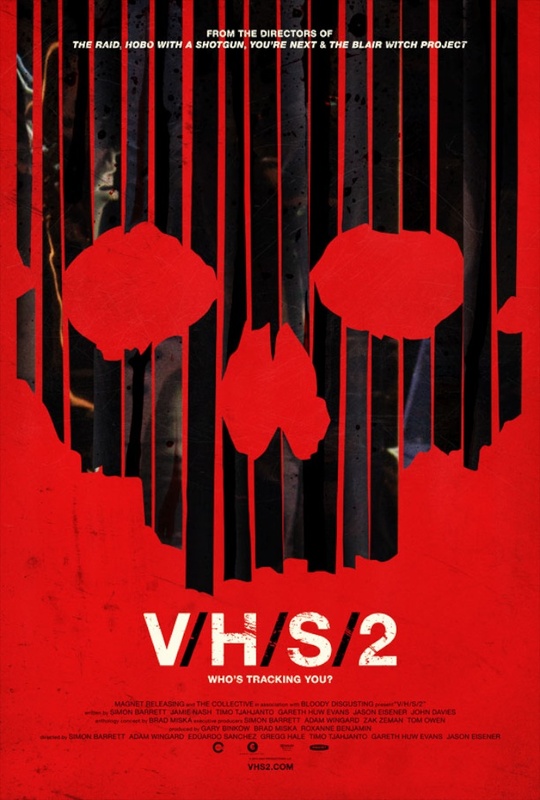 Nevertheless, evoking more chills and thrills, “V/H/S 2” is a masterful upgrade from its predecessor. Taking our criticisms regarding last years unbalanced indie hit “V/H/S”to heart. “V/H/S 2” cut down its runtime and has fewer segments. Evidently, this slowly blooming horror anthology franchise has learned that less is more. Not only evolving, “V/H/S 2” has matured, interweaving its vignettes with precision and taste. As well as improving on the variety, these snapshots touch upon more sub-genres and turn its attention to appeasing die-hard enthusiasts. Surprisingly, a couple of these shorts have the capability to be full-length features. Filling up the buckets with gore and keeping its viewers hearts racing. “V/H/S 2” is a sequel that works in ways its ancestor could only have nightmares about. The frame narrative is entitled “Tape 49” and follows two private investigators who are sent to uncover the mystery surrounding the disappearance of a young male student. The segment was created by Simon Barrett. PHASE I CLINICAL TRIALS: (Adam Wingard), 7 out of 10. A man sitting in a doctor’s office is having his eye examined. When he pulls a mirror up to his face, we see that instead of his eye, there is a prosthetic replacement. This fake eye is equipped with a camera for research purposes. Informed that it will take some time getting used to, the man returns home and soon begins experiencing weird occurrences. A RIDE IN THE PARK: (Eduardo Sanchez and Gregg Hale), 7.5 out of 10. A man straps a camera to his helmet and has a brief conversation with his fiancee before heading out on a bike path. Soon, the man stumbles upon a woman who jumped out of a bush covered in blood and lacerations. Screaming over her boyfriend, the man assists the woman until she begins to attack him by clawing and biting at his flesh. The man eventually pushes her away and makes an escape and calls for assistance himself. SAFE HAVEN: (Gareth Evans), 9 out of 10. 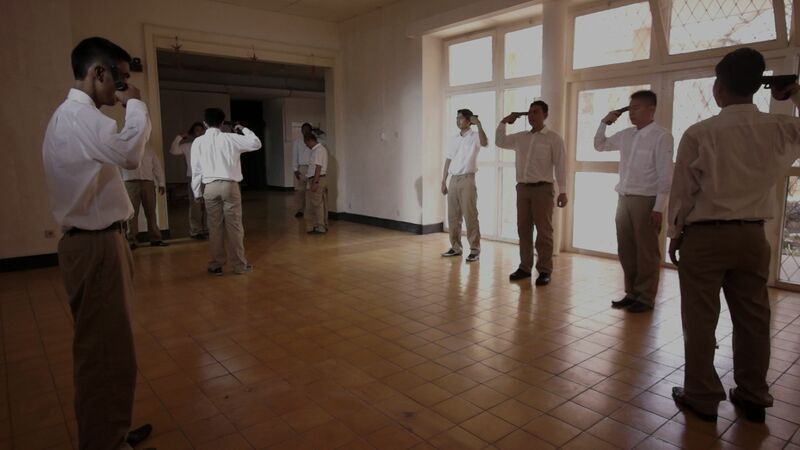 A news crew goes into an Indonesian cult to report on what happens behind its closed doors. Filmed entirely by the camera crew or hidden cameras from inside the compound. The crew eventually persuade the leader of the cult to do an interview. When the camera crew begins to experience equipment problems, the seemingly docile cult members turn suspicious. 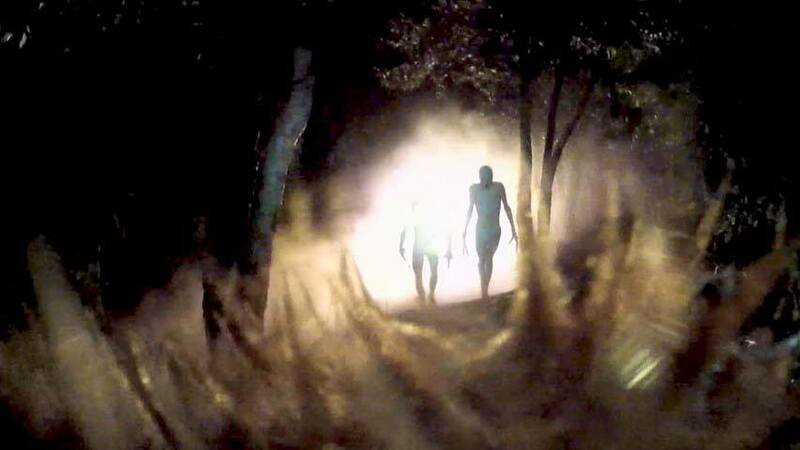 SLUMBER PARTY ALIEN ABDUCTION: (Jason Eisener), 8.5 out of 10. A group of young teenagers are making silly videos with a camera strapped to their dog. After one of the boys parents leave, the group of friends decide to have a sleepover and begin pranking the boy’s older sister. Soon, this strange, defining sound shakes the house and members of the group start disappearing. Astoundingly, “V/H/S 2” has managed to find the human element that its former was considerably lacking. Now, one can’t help but wonder about the limitless potential this franchise carries, provided of course that the growth continues. “V/H/S 2” profits, predictably albeit from an increase in showmanship and stage-value. While 2012s “V/H/S” stayed truer to the premise than its successor. As the series improves, the more we are willing to let slide in order to witness better, more complete segments. For this sequel, the filmmakers produced more complex, empathetic shorts that never substitute effectiveness for sensibility. These filmmakers give the audience credit. Each one of the snapshots is equally terrifying, sympathetic, and intelligent. Nevertheless, for fanboys such as myself, what truly makes “V/H/S 2” a worthy successor and in every facet better than its predecessor, is its ability to push the boundaries of normalcy to see what we can tolerate. Give respect, and receive it back. “V/H/S 2” really comes into its own, fully realizes its capabilities and premise. The ability to hone in on situations and circumstances that allow each short to maximize the terror, ingenuity, and emotion that “V/H/S” was critically missing benefits “V/H/S 2” substantially. Each segment allows the viewer to somewhat place themselves in the scenario and feel it play out as if it could theoretically happen to them. Of course, what sends these shorts over the top is this supernatural, murderous extravagance that we all fear deeply. And the ability to cower under this trepidation as a serious threat really pushes the envelope, ultimately allowing for a more involved, horrifying experience. In the end, “V/H/S 2” is exceeds its predecessor in every aspect of the word and will undoubtedly for this franchise to continue forward. V/H/S 2: 8 out of 10. Posted on June 11, 2013, in Horror and tagged Barrett, Eisener, Gareth Evans, Hale, Horror, Sanchez, Thriller, Wingard. Bookmark the permalink. 34 Comments. Thanks Tim! Always glad to hear you agree with me haha ;). What was your favourite segment? I completely agree, I wish it’d have been a full length feature. I would pay to see that! :). I liked the zombie one a LOT – very creative and fun!! The other three were just kind of *shrugs* to me. The cult one was disgusting!! 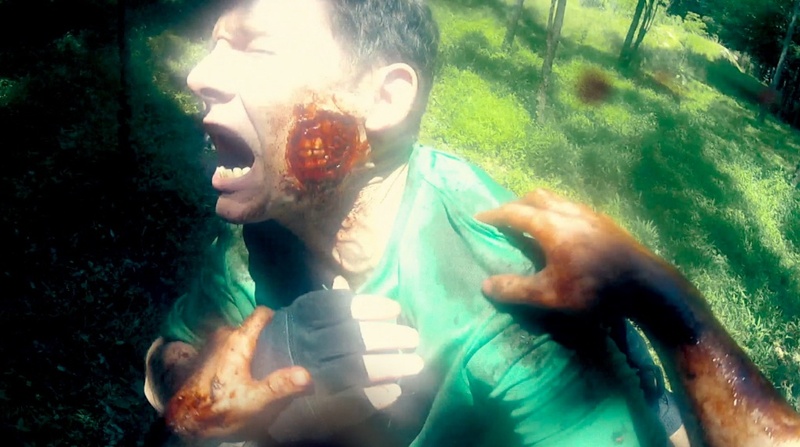 Yeah, the zombie short was loads of fun. I can’t believe you didn’t like the cult segment or the alien abduction one. They are outstanding shorts, so unnerving and disgusting. However, if I remember correctly, you don’t like films of that nature? or was that someone else? To be fair to the Alien one, by the time I got to that segment I’d had about ten beers, I hated the kids and was rooting for the aliens and then it pissed me off when they killed the dog. Haha, that’s hilarious. Well, maybe on a more sober day you can re-watch it and you’ll feel differently. Aliens creep me out so that segment really got to me. Absolute brilliance in my opinion. Safe Haven was something special wasn’t it? Very creepy stuff. Finally, someone agrees with me how incredibly stunning this film was! Safe Haven was insanely messed up, so gory, disturbing, and freaky, so much fun!!! I really couldn’t stand the alien abduction segment though, that stuff really gets to me :). LOVED it, I too think sometimes I was the only one that thought it to the point of being groundbreaking. At least Safe Haven was. Alien Abduction was done by the director of Hobo with a Shotgun so I’m partial to it. I thought he did a good job. Completely agree, a truly great film. It is really remarkable remarkable how fast they came out with the sequel and how fresh and exciting its quality is compared to the original. I know, also surprised they have us a sneak peek before it came out in the theaters. I’d like to see it on the big screen. I’ll probably end up seeing it on the big-screen anyway, just for the experience, but yeah, I know what you mean. Haven’t seen any of these, but I’ve heard a lot about them. It’d be fine if I skipped the first one, wouldn’t it? Yeah, you’re fine. Obviously I’d recommend watching the first one initially before moving onto the second, just to witness the evolution. However, if you want to jump straight into the sequel, it’s all good, you’re not missing anything and the two aren’t necessarily connected. Sounds good. May just rent them both sometime. Movies like this are my major ‘blind spot.’ I’ve never really delved into recent horror at all, but I should probably fix that. I know what you mean, if you can manage to get a good read on what current horror films are above average, they are worth watching. There are some great ones out there, you just need to find them. You also need to judge your own tolerance level. Some films are excessively gory and psychologically disturbing, if that isn’t your sort of thing, maybe just stick to what feels comfortable. Again, just need to search and decide for yourself, but the genre isn’t a total waste of time. There are some films that you need to see as a cinephile :). Came for the final grade. Stoked it’s so high! Will be back to read the review entirely once I’ve seen it! Yes, yes, yes…it is a masterful upgrade. I think you’re going to love it! Haha, it’s all good, watch it anyway you can. This is one of the better horror flicks I’ve seen in recent memory. “The Raid” is fantastic! Fair waring, while the gore and violence might be on par with one another, “Safe Haven’s” shock value and disturbing content is someone to watch out for. Just letting you know so you can prepare seeing as I don’t know what your tolerance level for that sort of thing is :). Of course! “Three Extremes” is one of my all time favourite horror films. Crazy movie, and I mean it in the best possible way :).